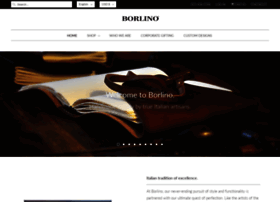 Borlino creates leather travel bags, leather briefcases, leather handbags and small accessories. All of our products are handmade at our studio in Riccione Italy from gifted 2nd and 3rd generation leather craftsmen. We also products leather journals, leather padfolios, leather business card cases and tech cases.